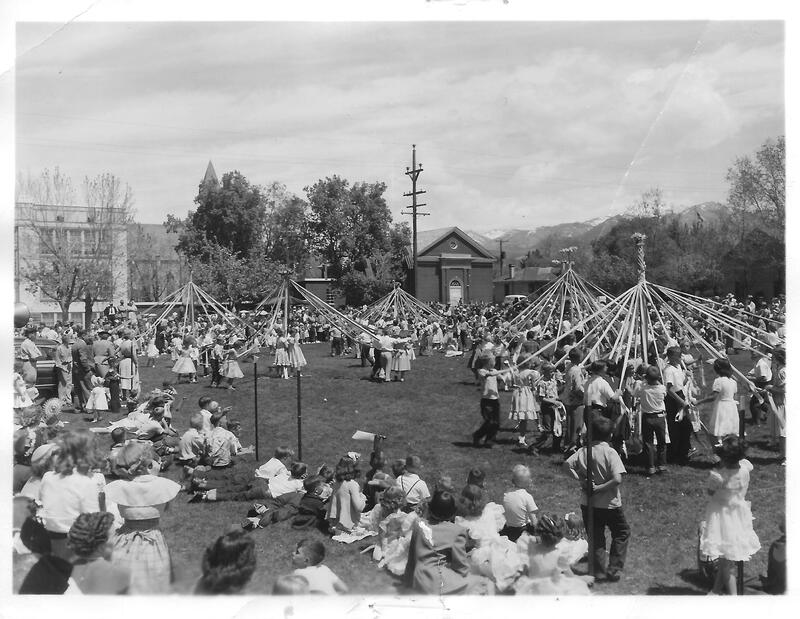 Welcome to the Smithfield Utah Historical Heritage Society Website! Smithfield, Utah has been known as “A City On A Hill” since the early 1850’s. It is nestled next to the Wasatch Mountains of Cache Valley in Northern Utah which from the early 1800’s was used as a cache site for fur traders. The settlement was located on an alluvial plane near a large mountain canyon. Summit Creek flowed year around down from the canyon, near the center of the top of the plane, gradually spreading over the alluvial rise. American Indians had known and used the immediate area for generations. The early pioneers recognized that with the rich soil and the ability to irrigate with water running north, west, or south, that the area could be made to flourish. The first garden plants were planted late in 1859 and remnants of the vegetables were harvested in the early summer of 1860. The city of Smithfield was formally settled in 1859 and in 1860 settlers moved in from England, Ireland, Scotland, Whales, Scandinavia, and Canada. Most were Mormon Pioneers. Stories of the settlement of the American West are nearly all represented in the History of Smithfield. Such things as commuter trains, Indian Battles, logging, living in dugouts, old time theater, education, dry goods stores, lumber stores, medical facilities, milk (production) plants, sugar beets, a large vegetable canning factory, boy scouts, and recreation are all represented. Smithfield also has its own list of prominent citizens who were lost in battles and World Wars. To date, however, there has been no known bank robbery, even though Smithfield has had a bank since its early history. Smithfield has never experienced a decrease in population. Our community is a very safe place to live and raise a family. Although the business center of Smithfield is small because of its proximity to Logan, Smithfield is the second largest community in Cache County, Utah. In 1950 the community was less than 2,600 in population. The population now nears 11,000. Smithfield’s Historical Society is not a bunch of old folks looking for work. Rather, we are a group of persons of varying age who care about Community. Our interests and talents are varied and we invite young and old to be involved. Whether you are a painter, carpenter, writer, photographer, hiker, biker, storyteller, collector, ecclesiastical historian, or philanthropist, we have a place for you to be of service at your own comfort level. We solicit written histories of current and former Smithfield residents. We are building a significant collection of historical artifacts that all have a connection to Smithfield. Yesterday’s news is history! Will you be a part of helping us preserve it? Our new website represents each area of preservation that the Smithfield Historical Heritage Society focuses on. There are several Historical Periods of which Smithfield has been a part, including American Indian History, Pioneer History, LDS Church History, and both World Wars. We as a Society have Collections & Artifacts that represent these periods for younger generations to see. Smithfield’s Cemetery is a beautiful place to remember those who have lived in our city and their lives. Smithfield has a growing list of Historical Sites & Landmarks for you to visit and learn more about. We have Celebrations of Culture & History here in Smithfield and would love for you to join us in these. Looking for the history of someone who lived in Smithfield? We are making Personal Histories available on our site to help people learn more about individuals who have made Smithfield home. We also have ongoing Projects that we would love help with, so check that out if you want to help. Knowledge of our past, as well as our connection to it, strengthens us. When we learn the struggles that our ancestors and founders went through, we gain a perspective on their life. When we look at their triumphs, we can see that hard work, smart thinking, and determination can pay off. When we see their failures, we come to understand that people have to readjust, perhaps change direction, and move on. When we learn history, we see how our actions contribute, too. We’re really all just part of one long story. What part will you play?